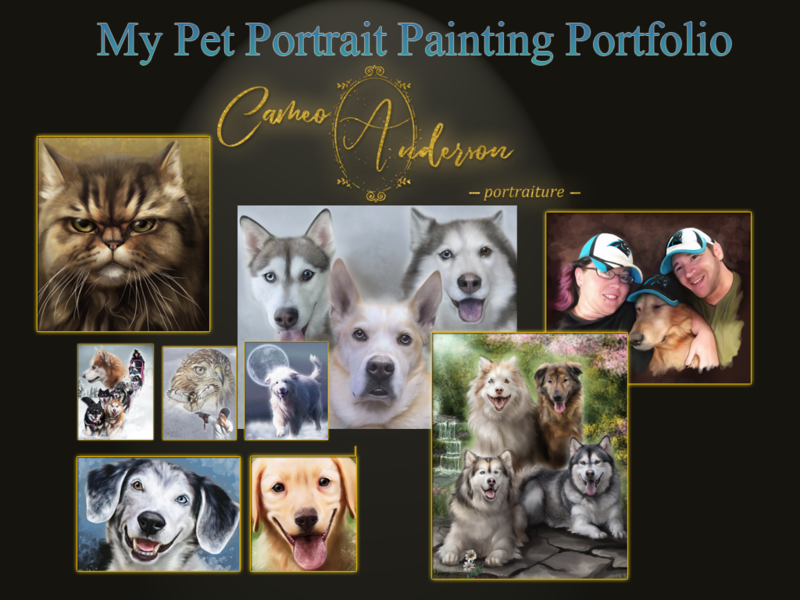 Honor a beloved friend with a fine art portrait: be it a friend furry or not, be it a friend who still walks this Earth, or one that has gone on, be it for yourself or as a gift, professional portrait paintings are an excellent way to commemorate someone special. Wedding, Graduation, New Baby, Anniversary, Loss of a pet, Adoption of a new pet, Memorial gift, House Warming… the list goes on and on. You can’t go wrong with a canvas from Cameo. Cameo paints any species – formal or informal – and specializes in snow dogs and memorial pieces.